In a highly commoditized market, brands and financial institutions are effectively looking for Financial Copywriting and Financial Content Marketing to create new opportunities for growth and retention. For this reason, financial services are turning to Financial Copywriters for content marketing strategies that are not only anticipated, but truly make a connection with customers and prospects. Unfortunately, most online content in the financial industry just fills space and doesn’t engage the reader or accomplish its communication goal. In an industry where it often takes multiple touches before a prospect makes a purchase, every interaction with consumers must be looked upon as an opportunity. 60% indicate that receiving company content helps them make better product decisions. Wrestling with an effective content strategy forces financial marketers to face some critical issues. Do you really have a value proposition that consumers will care about? Can you identify your competitive differentiators? What can you do to better engage your customers and get them to buy from you? 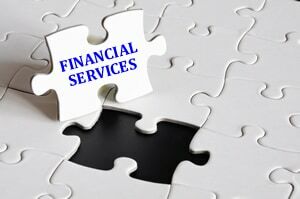 The reality is that products and services offered by most financial services companies are so similar, that answering these questions can be difficult. Fortunately, the financial services industry is beginning to adapt to the omni channel environment with innovative approaches to content, value propositions, and competitive positioning. 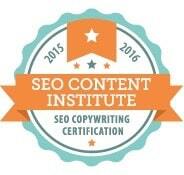 The best way to achieve your goals is to use an experienced Content Marketing & Financial Copywriting Professional.